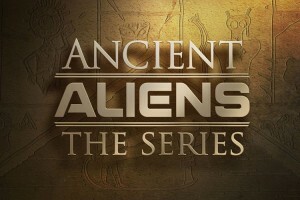 Produced by Prometheus Entertainment and running since April 20 2010 on History channel, the show plans to uncover the truth, the myth and the implausible behind many of the ancient astronaut hypotheses theories. One of the most upfront critiques of the show is its less than honest and scientific approach, though, truth be told, the show is pretty interesting and exciting to watch, as it does base some of its content on real fact. The show focuses on many natural and human relics and history facts and tries to connect the dots where our knowledge is still lacking, as to why we evolved as we did and why did we evolve so fast. From the reasons the Pyramids of Giza are built the way they are, to the Nazca Lines, to the Easter Island Idols, the show always looks at a popular phenomenon and analyzes it in all ways possible. In fact, many celebrities have declared their love for the show, Katy Perry and Megan Fox admitting to finding the show fascinating. However, one question that should be raised by all that watch is how much of the show can actually be taken as literal and how much of it is nothing more than a stretched supposition. The satire cartoon show South Park characterized the show in a very bad light, namely because a lot of the theories presented were really outstretched, were based on the “expertise” of fake, non-reputable experts and the show didn’t always acknowledge that it was just exploring the subject matter speculatively. But, as far as exciting and always fresh, the show does manage to draw you in, as long as you don’t let yourself fooled into believing everything literally. It is a lot better built than other shows of its kind, but, still, it’s not as much about science as much as it is about speculation and playing with scenarios at the limit of the plausible. Will we find a life form on Enceladus?